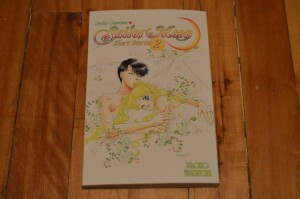 The final English translated Sailor Moon manga by Kodansha was released yesterday. 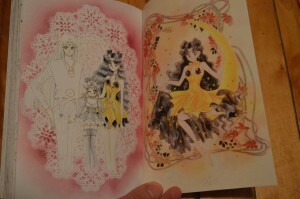 Sailor Moon Short Stories vol. 2 collects the last few stories that hadn’t been seen before. You can pick this up at your local bookstore or online retailer (including the Amazon link at the bottom of this post). The bulk of this manga is Princess Kaguya’s Lover. This story was originally published as volume 10 of 18 in the original manga series, taking place immediately after the battle with Professor Tomoe and Mistress 9. 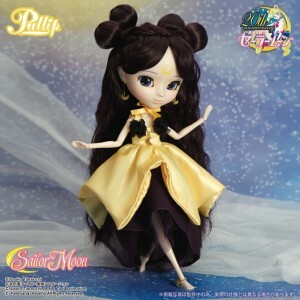 It is the story of Luna falling in love with a human and becoming a human herself, and it was animated as the Sailor Moon S movie. 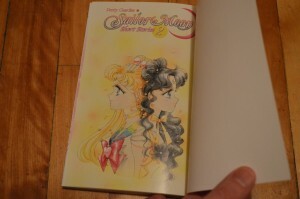 Here’s the first of two Sailor Moon 20th Anniversary panels from Unplugged Expo in Toronto last weekend. This is the Saturday panel from October 26th. 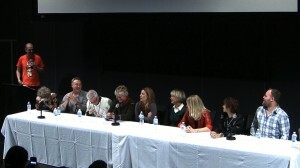 On this panel we have Jill Frappier, the voice of Luna, Ron Rubin, the voice of Artemis, Roland Parliament, the voice of Melvin and voice director for the first 65 episodes of the dub, Julie Lemieux, the voice of Sammy, Katie Griffin, the voice of Sailor Mars, Susan Roman, the voice of Sailor Jupiter, Stephanie Morgenstern, the voice of Sailor Venus, Terri Hawkes, the voice of Sailor Moon and Toby Proctor, the voice of Tuxedo Mask. The MC at the podium is me, Adam Gardner. The Sunday panel was recorded as well. It included Ron Rubin, Susan Roman, Terri Hawkes and Toby Proctor. It will be posted online as time permits in the coming days. Thanks to Kate for helping out with the camera. 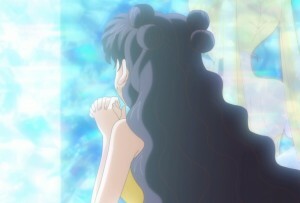 Check out her Sailor Moon screenshots on Instagram or Twitter. October 4th 2003, 10 years ago, the first episode of the live action Pretty Guardian Sailor Moon TV series premiered in Japan. The show didn’t achieve much success with a North American audience but many fans did have a fondness for it. With a total of 49 episodes the series ran for about a year and also had two direct to video specials and a live stage show, along with a lot of merchandise. The story of this series was a retelling of the Dark Kingdom storyline from the manga and anime. 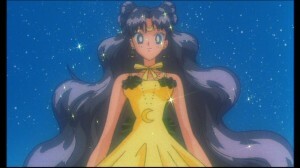 While at the beginning there were many similarities, the series quickly defied expectations and did it’s own thing going so far as to introduce new variations of classic characters like Sailor Luna, Dark Mercury, Mio Kuroki and Princess Sailor Moon. The effects were a bit cheap and Luna was a plush most of the time but the show still had a certain quality to it that made it very much Sailor Moon.